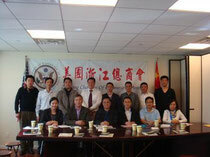 The ZCCA and SBS formally signed the 2014 cooperative agreement at Monroe College in Flushing on Jan. 10th. 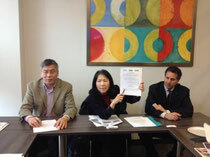 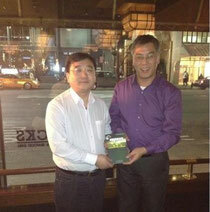 Zhongfang Dai, the president of Zhejiang Chamber of Commerce of America (ZCCA), presented Business Owner’s Manual to the summits of Zhejiang Small Business Association. 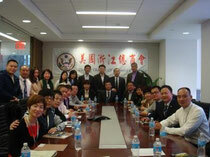 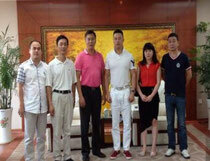 The president of ZCCA Mr. Dai visited Yiwu Wenzhou Chamber of Commerce of America on Aug. 29th.